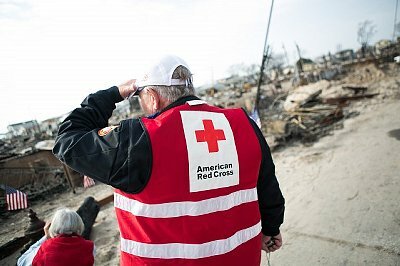 In the weeks since the devastating impact of Hurricane Sandy, the steps to recovery and the needs of those communities in the Tri-State area have become more fully realized. Homes were rocked off foundations and many now need to be gutted or torn down. Businesses were lost and destroyed, infrastructure was damaged and coastal areas were shattered. The Syracuse University community is offering support in various ways to those affected by the hurricane—especially given that the region is home to many students, their families and SU alumni, friends and colleagues. From the Parents Office to student organizations, the campus community has provided resources, offered support and outreach. The University and its community partners have come together in several ways to directly support the victims of the hurricane. Immediately following the storm, the University sent a truck with bottled water, ready-to-eat food and sweatshirts to the region, offering residents some much-needed supplies. 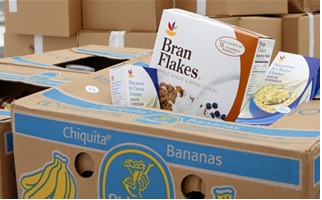 The supplies were provided to Island Harvest, a hunger relief organization on Long Island that is working as part of an emergency relief effort with the Red Cross and a consortium of nonprofit agencies that coordinates responses to disasters among member organizations. Providing assistance in terms of the environmental impact, Mark Lichtenstein from the Syracuse Center of Excellence in Environmental and Energy Systems remains in New York City, where he’s been working with the Environmental Protection Agency to recycle debris created by the storm. Lichtenstein says in the few weeks he’s been on the ground, “mountains of trash” have been collected from homes and businesses. The ideas have included convincing the Army Corp of Engineers to seek alternatives to incineration and introducing composting and mulching options instead of throwing recyclable items into landfills. The University’s United Way campaign, which is under way through the end of December, offers employees an opportunity to increase the impact of their contributions by designating their gift to the American Red Cross. “At this time of year, and especially in the wake of Hurricane Sandy, there are staggering numbers of people in need of help,” says Dean Suzanne E. Thorin, the 2012 Campus Campaign chair. University employees can make the notation on their United Way pledge cards that have been distributed or visit the e-pledge website that has been sent out in pledge emails to employees. For those who need a pledge card or who have already submitted their pledge card and would like to make an extra donation to Hurricane Sandy relief, pledge cards can be obtained from Kate Hammer in the Office of Government and Community Relations at 443-3919 or kehammer@syr.edu, or Peg Northrup in the Office of Special Events at 443-5303 or manorthr@syr.edu. Although scheduled several months ago, Dome Donation Day at SU’s football game vs. Louisville on Nov. 10 provided another way for the community to help out. 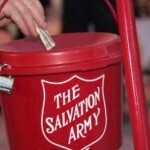 The event marked the official start of the Salvation Army’s Red Kettle Campaign. The Salvation Army, SU and the CXtec and TERACAI companies joined forces to collect food and money from fans as they entered the Carrier Dome. The proceeds collected will benefit victims of Hurricane Sandy and also support the Salvation Army’s annual holiday assistance campaign. Red Kettle donations at Dome Donation Day were more than $6,600—almost twice what was collected at last year’s football game, says Greg Meitus, public relations and marketing manager with the Salvation Army of the Syracuse area. Nonperishable food donations filled 14 barrels. In addition to providing volunteers and pom poms, CXtec/TERACAI committed $1,800 in cash to support Dome Day. • by check made out to The Salvation Army Disaster Services Center, P.O. BOX 1959 Atlanta, GA 30301. Please designate “2012 Hurricane Season” on all checks. • by text messaging the word STORM to 80888, and confirming the donation with the word, “Yes.” In this way, donors contribute $10 via their phone bill. Another way that individuals have contributed has been through Hendricks Chapel, which became a drop-off point for those wishing to make out a check to the American Red Cross or other relief organization. More than $600 has been collected through the Hendricks Chapel Dean’s Office. Donations are still being accepted through the Dean’s Office on the lower level of Hendricks Chapel during regular business hours, 8:30 a.m.-5 p.m. weekdays. The chapel may be reached at 315-443-2901. SU students have also organized their own fundraising events to benefit hurricane relief. Phi Beta Sigma raised nearly $300 as part of its “Pie-A-Sigma” event held at the Schine Student Center, says David Sargalski, director of the Office of Student Activities. Lambda Upsilon Lambda and Alpha Phi Omega organized a donation drive and are collecting blankets, batteries and nonperishable goods, along with monetary donations. So far, they have collected around $200. Another student organization, the Alpha Omicron Chapter of Alpha Kappa Psi, the professional business fraternity, organized a benefit showcase, “Voices for a Cause,” Nov. 14 at the Schine. The event brought together student performers and students of the SU community to raise funds for the American Red Cross to benefit victims of Hurricane Sandy, says Cineve Gibbons ’14, the chapter president and main organizer for the event. These charitable efforts are expected to continue. With the giving season now in full swing, the campus community will likely see additional opportunities to assist in the weeks and months to come. Colleen Bench, assistant vice president for the Division of Student Affairs and director of the Parents Office, says several families reached out to the Parents Office immediately following the storm. Those who lost homes wanted to connect with financial aid counselors or other resources on campus. Some students wanted assistance notifying professors that they would not be able to get back to class for a few days. “They couldn’t get flights out to Syracuse and they didn’t want to leave their family until things were squared away,” Bench says. The Parents Office (315-443-1200) will continue to work to help identify resources and support systems, Bench says. The University has also been thinking about the impact on potential students affected by the storm. The Office of Admissions adjusted its early decision application deadline to Dec. 1. The portfolio/audition early decision deadlines for the School of Architecture and the College of Visual and Performing Arts are also extended to Dec. 1. Although the early decision application deadline was extended, notification will run as scheduled. Early decision applicants will be notified beginning in mid-December, and notification will continue through early January. Other resources available on campus for students, faculty and staff needing emotional support or assistance include the Office for Student Assistance (315-443-4357), Counseling Center (315-443-4715), Hendricks Chapel (315-443-2901) and the Faculty and Staff Assistance Program (315-443-1087).